Tokyo’s north-eastern corner is where you will find most of Tokyo’s history: Asakusa, Ueno and the so-called Yanesen area (which includes Yanaka, Nezu, Sendagi). However, unlike Asakusa and Ueno, where a small number of large buildings survived, Yanaka survived as a whole neighbourhood. It survived the large earthquake of 1923, and it survived the bombings during World War II. This article list my recommendations in Yanaka, which is mainly known as an old temple town. There were other temple towns like this one during the Edo period (1603-1868) on he fringes of the city. This was done so that the temples could also be used as forts in the event of a military invasion. In particular in the north-eastern corner there were plenty of temples as this direction was deemed to be unlucky. Temples are not the only treat in Yanaka. It also features the largest ancient cemetery in Tokyo with the grave of Tokugawa Shinobu. In addition, this town breathes the shitamachi culture, in particular through its lively shopping street called Yanaka Ginza where cats are king. Please note the places below are all in Yanaka. Your visit should also include neighbouring Nezu and Sendagi (together called Yanesen). Bordering on the southern side is also Ueno Sakuragi that has not too miss places such as Kayaba coffee and Ueno Sakuragi Atari, and are often featured as being actually part of Yanaka. Major cemetery in Tokyo on the same level as Père Lachaise and Montparnasse Cemetery in Paris. 7000 graves with beautiful flowers, plants and trees. Particular beautiful in spring, with the alley of cherry trees, and in autumn with many colourful trees including many gingkos. Read more. Traditional shopping street (shotengai) with a focus on cats. This street has a distinct mid-20th century Showa feeling to it. Touristic, but still plenty of locals doing their grocery shopping here as well (on weekdays). The view called yuyake dandan from the top of the stairs overlooking the street is becoming one of the great views in Tokyo. Read more. Yanaka is foremost a temple town, but none of the temples enjoy the same level of attention as the well-known places of worship in Tokyo such as Senso-ji and Meiji Shrine. This is actually mainly due to the modest size of these temples in Yanaka. They are small but beautiful. Yanaka keeps impressing me due to the sheer beauty of its temples. Read more. Yanaka is famous for having many cats running, sleeping and playing on its streets. It is dubbed cat town and has put a focus on its furry inhabitants. On Yanaka Ginza there are seven carved wooden cats called the 7 lucky cats, as well as many cat-themed shops. Read more. 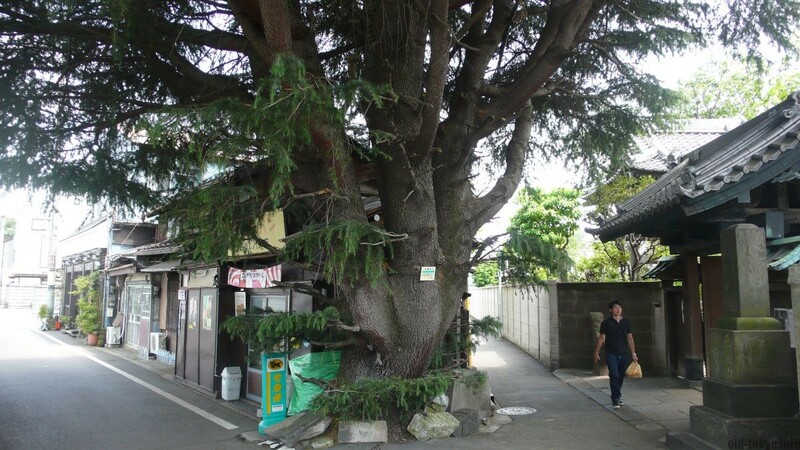 This tree has an interesting history apart from being outright impressive in how it is towering over an old shop and neighbouring temple. No wonder that this place has been featured in many movies and drama series. Read more. A community/art project, rather than just another cafe. It is housed in a not-so-old but old-enough traditional building (1955). Its history goes back as a resting place next to Sorinji temple, there since 1701, that is also called the Hagi temple due to the Japanese clover bushes (hagi in Japanese) on the temple grounds. Read more. 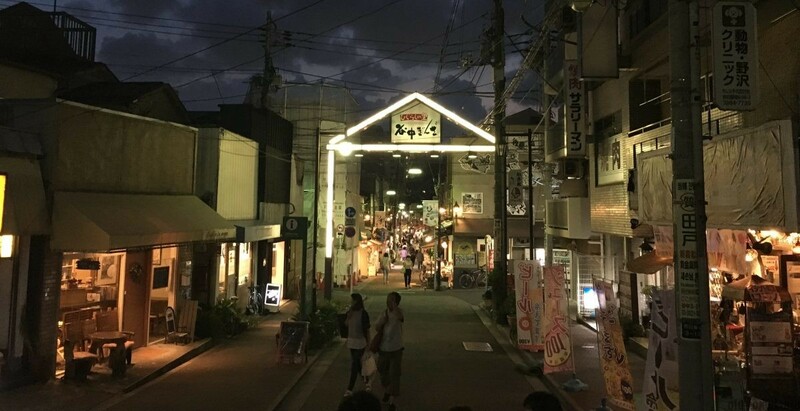 There are many more small shopping streets and historical locations in Yanaka to explore such as the tsuji-bei wall and the SCAI the bathhouse. Also check Nezu, Sendagi and Ueno Sakuragi, all within walking distance of Yanaka. Nippori Station (Yamanote line, Jōban Line, Keihin-Tohoku Line, Keisei main line and Nippori-Toneri Liner). Where is Tokyo’s city centre? Discover old Tokyo, in particular the areas associated with shitamachi. All articles written by a long-time Tokyo resident from Belgium. All places personally visited. Please do not reproduce without written consent. Read more.